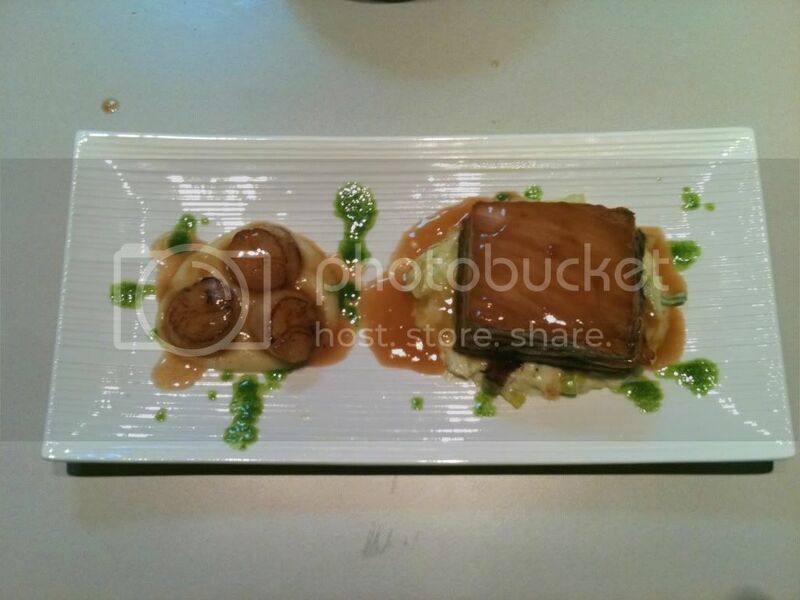 Apple Marsala Sauce.... With Pork Belly and Scallops? Discussion in 'Food & Cooking' started by sluggerdog, Mar 31, 2010. I am planning on making a pork belly and sea scallops recipe on the weekend. Usually I make an apple sauce to go with the pork but thought it might be nice with scallops. While the sauce is nice I wanted to step it up a little so I have added Marsala. Just wondering what others though of this recipe and if it would go well with pork belly and scallops. The usual recipe is the same without the marsala and a 50/50 combo of juice and stock. It would be good to read the entire recipe plan, not just for the sauce As in - how are you cooking the proteins? How long for, etc....the scallops shouldn't be cooked too long obviously, perhaps added once the pork is fully cooked and the sauce pretty much finished too. Instead of apple juice, why not stew some apples then strain, and you won't have to thicken the sauce very much at the end. Looking forward to your full recipe. For the pork I slow cook it in an oven at 110C for 3 hours per kg, once done I place it in the fridge overnight with weights to flatten it, then the next day I put into the oven at around 200C to warm and brown up for around 30 mins. Photo of the end result below.